Schedules can start to get very busy, very quickly this time of year and the balance between the start of school and hockey season can be tricky. Use the rest of the time you have this summer to plan out as much as you can of the upcoming hockey year. Get ahead of the game for your team and your scheduling to keep things as smooth as possible. Tournaments offer many benefits for your team. Whether in a nearby town or on the road, the time spent as a group is great for bonding and becoming a closer team. Tournament season doesn’t have a start or end date, they run at all points of the hockey year and are open for all teams to participate. A lot of tournaments offer an early-bird discount if you sign up by a certain date. Get the booking out of the way now and don’t worry about trying to fit into your schedule later. 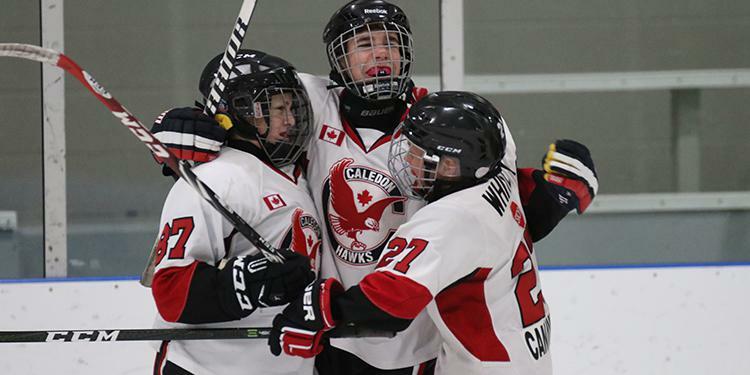 The OMHA offers tournament listings for teams of all levels and ages. Find a tournament that fits best for your team and calendar. Hanging out in the hotel with your teammates is fun but what is there to do in the town or city you’re in? Take advantage of the time away and explore your new sights and surroundings. Look at the tournament schedule once you register and use the extra time for off-ice team activities that can be a fun break in between games. There are plenty of sights to see - the few days spent on the road can turn out to be the most memorable of the season. You know where your team places in the standings, but how do they stack up against teams from outside of your league? Tournaments can serve as a benchmark because you may face teams that aren’t on the regular season schedule. The opportunity to play an opponent you’ve never faced before is exciting and there can be bragging rights on the line. Teams may be coming in from all over the province or country to compete. It’s important to factor in location when booking a tournament. The distance and time travelled, hotel costs and registration fees all have to be considered and agreed upon. Depending on how far away a tournament is, it may need to add to the days on the road. Check on how many games your team is guaranteed to play over the weekend and decide how it factors into your travel time. For some associations, running a tournament can become a yearly tradition. Often called a ‘Classic’ or ‘Annual’ tournament, chances are the same teams like to attend each season. This could be the year where it’s your team’s turn to carry on the legacy of representing your town and participating. There are also plenty of tournaments that take place over the holiday season. Tournaments are scheduled for nearly ever week of the year across all age groups and levels. There could be one in your own backyard! For more information and to find one that is right for your team, check out the Tournament Listings page.